The FLL Jr. Core Values include, "We share our experiences and discoveries with others." 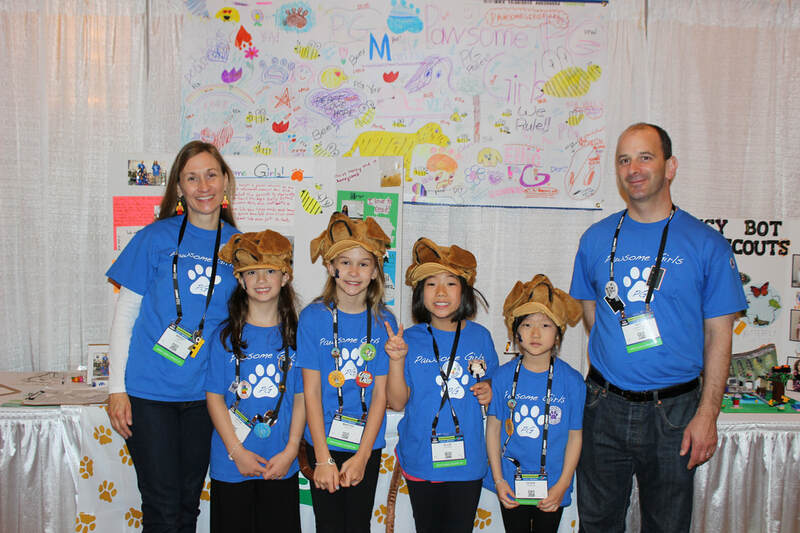 In addition to attending the Glastonbury Expo, we invite all teams to reach out to the PACE teacher at your school to ask if the team can exhibit their "Show Me Poster" and LEGO model at your school science fair. Depending on the date of the fair, G-REC will grant you an extension on your loan of the materials to enable your team to share their hard work and creative ideas. We do the work. Our coaches and mentors help us learn, but we find answers ourselves. We are helpful, kind, show respect when we work, play, and share. We call this "Gracious Professionalism." Consider Applying to Attend the WORLD FESTIVAL EXPO ! One team per state is selected to attend the World Festival Expo each year. This is an AMAZING opportunity for the children to meet teams from around the country and the world and get exposure to all the programs available through FIRST! 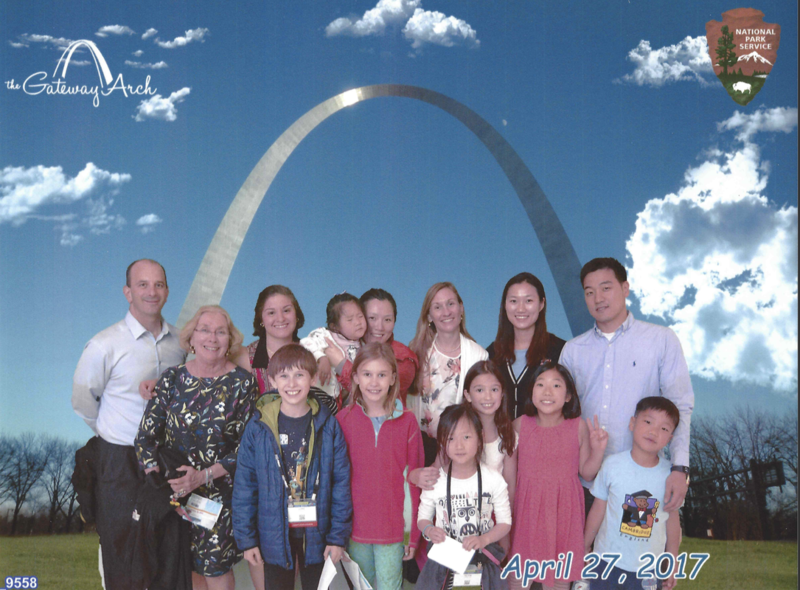 Below are photos of the "Pawsome Girls" from Hebron Avenue School at the World Festival Expo in St. Louis in April, 2017. If you are interested in applying to go, check out the FIRST webpage and find out how to apply for consideration. It also helps to make a webpage in the FLL Jr. Showcase. Good Luck! LEFT - Team at our display with the model, Show Me Poster and banner. ​ABOVE - Team accepting trophy and medals. RIGHT - Families enjoying the trip!